Since almost every organization in the present world is connected to the Internet in some or the other way, steps must be taken to ensure their networks remain safe and secure, and that's exactly what our mission is about. The Hacker News (THN) is a leading, trusted, widely-acknowledged dedicated cybersecurity news platform, attracting over 8 million monthly readers including IT professionals, researchers, hackers, technologists, and enthusiasts. The Hacker News features latest cyber security news and in-depth coverage of current as well as future trends in Infosec and how they are shaping the cyber world. In 2010, we started THN as dedicated cybersecurity and hacking news platform to educate people on how to use the Internet in the safest way. In following years, the website has turned into one of the most significant information security channels and working as a bridge between a large number of communities including leading security researchers, geeks, techies, business grads, CISOs, along with thousands of security professionals. The Hacker News also organizes face-to-face meetups, conferences, and events that attract world's best IT professionals and hackers. 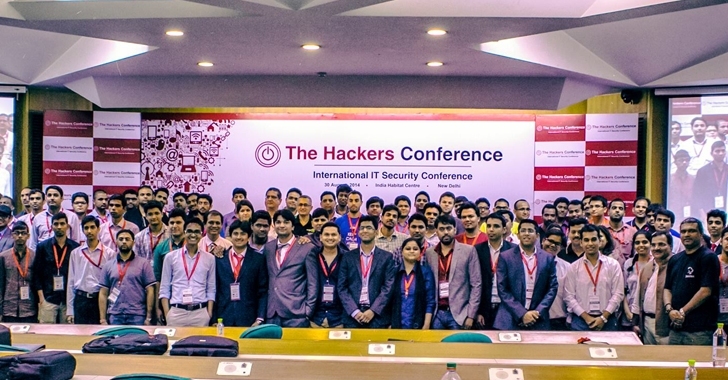 The Hackers Conference (THC) is one such gathering of ignited minds in the field of Internet security, which is organized every year in Delhi–the heart of India. The Hackers Conference is a unique event, where the best of minds in the hacking, IT industry, and the cyber community meet face-to-face to join their efforts to cooperate in addressing the most topical problems of the internet security space. Feel free to write to us at admin@thehackernews.com for any feedback or queries. We look forward to hearing from you. You can also follow us on Facebook and Twitter to get latest updates on your timeline.